In October, Russian airlines collectively carried some 10 million passengers, once again achieving a double-digit growth of their operational performances. Total traffic climbed 12.4 per cent compared to October last year, with the domestic segment growing slightly slower at 11.3 per cent, to 5.7 million passengers, and international slightly faster, to 13.8 per cent to 4.3 million. Of the latter, 685,000 passengers travelled to destinations inside the Commonwealth of Independent States (up 12.8 per cent), a trend that shows that traffic outside the CIS region grew the most, enjoying a 14 per cent year-on-year rise to 3.6 million passengers. Since the beginning of the year passenger traffic increased by 10.4 per cent to a total of 99.2 million passengers, including 58.4 million domestic and 40.8 million international passengers (up 10 and 10.9 per cent respectively). The intrigue of the year among the top-five of Russia’s largest airlines is another twist, in which S7 Airlines once again claimed silver from its rival Aeroflot subsidiary Rossiya Airlines, which held the title in September. The Siberian airline continues to grow at a record rate. In the first 10 months it carried 10 million passengers, up by 18.1 per cent on the same period last year. Aeroflot sustains its market leading position with 29.9 million passengers, up eight per cent, whilst the fourth and fifth places remain occupied traditionally by Ural Airlines (7.8 million passengers, up by 13.8 per cent) and Utair (6.4 million passengers, up 5.3 per cent). Rossiya Airlines, now once again third largest, was the only one in the top-five to see a traffic decline – by 0.4 per cent to 9.9 million passengers. On the freight side, things were less than rosy in October, as cargo traffic slid (by 0.2 per cent) for the first time since March, to 107,200 tonnes, although it is generally above its peak 8.6 per cent growth registered in January. However cargo traffic between Russia and the CIS picked up by 9.4 per cent to 2,400 tonnes, continuing the trend set by September’s 13.9 per cent growth in that sector. Overall, the international segment shrank by 0.6 per cent to 80,200 tonnes. The domestic cargo segment grew by just one per cent (26,900 tonnes) compared to 9.7 per cent in September. 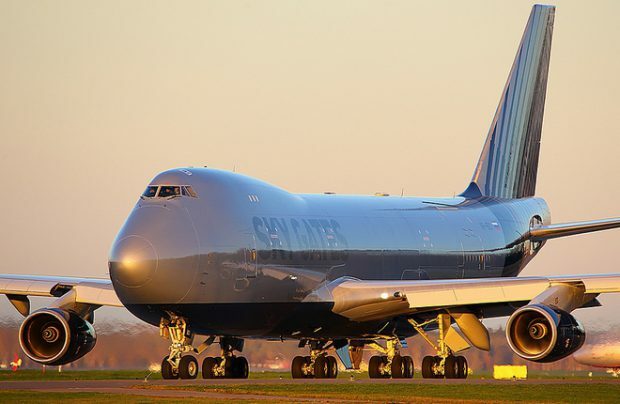 Meanwhile, start-up Sky Gates Airlines has made it into the top-five freight carrier list for the second month in a row. Although details of its performance are not specified, according to Russian aviation authority Rosaviatsiya, it is the fourth largest. In the period, Aeroflot’s low-cost subsidiary Pobeda Airlines improved its performance by a factor of 17 times (compared to 136-138 times for the previous three months) to 31,800 tonnes, whilst Aeroflot itself continues on a downwards cargo trajectory, this time showing an 0.8 per cent decline to 182,400 tonnes. S7 Airlines dropped two per cent, having carried 27,800 tonnes of cargo. The freight sector’s undisputed market leader is AirBridgeCargo (Volga-Dnepr Group), which transported 482,100 tonnes, up 3.5 per cent. In the first 10 months of 2018, total freight traffic increased by 1.1 per cent to 964,100 tonnes, of which 727,600 were carried domestically (up 0.5 per cent) and 236,600 tonnes internationally (up 2.8 per cent).